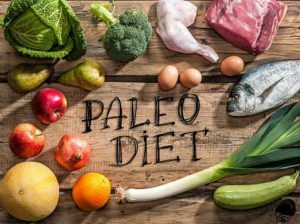 Paleo Diets – Why should they matter to an independent pharmacist? We’ve talked about lifestyle diets before and how they factor into a “natural lifestyle” for many people. The number of different lifestyle diets is vast, and one that has stuck around longer than many imagined is the Paleolithic or “paleo” diet. Many that follow these paleo or ancestral diets care about eating locally, eating sustainably, and eating seasonally. People that follow paleo might be interested in going to farmer’s markets, gardening, beekeeping, organic food, and other things that appeal to a more “natural” lifestyle. Danielle Walker, author of Against all Grain keeps a robust web presence. She healed her autoimmune disease at age 22 through adopting a paleo lifestyle. Chris Kresser, M.S., L.Ac is a globally recognized leader in the fields of ancestral health, Paleo nutrition, and functional and integrative medicine. He is the creator of ChrisKresser.com, one of the top 25 natural health sites in the world, and the author of the New York Times best seller, Your Personal Paleo Code. Sarah Ballantyne, PhD., is a biophysicist and mom that started the award-winning website ThePaleoMom.com which features detailed articles distilling the science behind how diet and lifestyle impact health. So how do paleo diets affect pharmacies that don’t also sell food? Well, many adopters of the diet apply the principles to all areas of their life, including their OTCs and personal care products. Savvy brands have jumped at the opportunity, marketing their products specifically to the paleo crowd. Paleo customers may also be more likely to look for personal care products that are considered “clean label” or are free from certain chemicals. Are you carrying these types of products that appeal to your paleo shoppers? Are they easy to locate through signage or other wayfinding? Does your health publications section contain any books or magazines that appeal to this audience, such as Paleo Magazine or The Primal Blueprint by Mark Sisson? Do you carry paleo-approved snacks such as EPIC® meat bars, snack strips or pork skins and EXO® cricket flour protein bars? (Yes, I said cricket powder – and yes, it is what it sounds like.) Could you include a paleo health coach at your next in-store health fair or bring in an integrative doctor to give a presentation on what products are appropriate for a paleo lifestyle? These are just a few of the opportunities to connect with your paleo shoppers. Remember, they are choosing to eat this way because they want to be healthy, and you also want your patients to be healthy – the goal is the same. Meet them where they are; get creative. You never know what kind of opportunities await when you connect with shoppers through their lifestyle diet.